Dr. Iliesiu graduated from the University of Medicine and Pharmacy in Romania with his Medical Degree. He completed his internship and residency in Internal Medicine at St. John Hospital & Medical Center in Detroit. He then subspecialized in Pulmonary and Critical Care during his fellowship at the University of Texas. 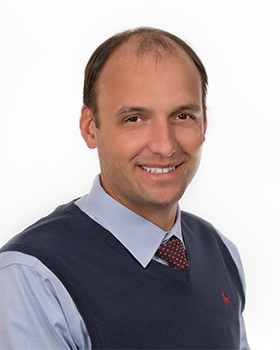 Dr. Iliesiu joined PCCA in 2015 and currently sees patients in the outpatient setting at our Shelby Township location. His hobbies include music, running and mountain biking. Dr. Iliesiu sees patients at our Shelby Township location.